Absolute Home Solutions is a certified roofing company that has been providing new, re-roof and roof repairs since our inception in 2001. We provide quality roofing workmanship on both residential and commercial roofing projects. We know that you have a lot of choices when selecting a roofing contractors. We urge you to choose a roofing contractor that can stand behind their workmanship. Our project manager has over 20 years experience in the roofing industry, experience counts — we only employ experienced, qualified installers to insure your peace of mind when it’s time for your roofing project. When selecting a roofing contractor look no further than Absolute Home Solutions, your qualified, local roofing company. When searching for roofing contractors it is important to ensure the roofing company is properly certified to complete your project. We take a great deal of pride in our qualifications, professionalism and quality workmanship. As a professional roofing contractors you can trust our expert, certified installers to get your roofing job done in accordance with best practices and manufacturers recommendations. 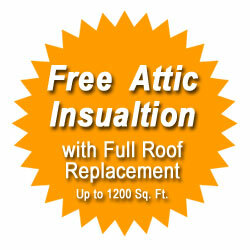 All of our roofing installers have been trained and certified for each roofing service we offer. We don’t believe in providing low quality materials that’s why we only choose the finest materials by the most recognized roofing manufacturers in the industry. In addition to new roofing and roof replacements we also provide roof repair services and preventative maintenance. Our roof repair specialists have the ability and experience to troubleshoot those hard to find roof leaks and provide accurate, timely roofing estimates. We provide roof repair services on all types of tile, shingled, and flat roofs. Our roof repairs teams are well equipped and provide repairs on both commercial and residential roofs. Not just anyone can remove asbestos. We are also an experienced asbestos abatement contractor which means we are trained to look for potential asbestos containing materials. If we find asbestos we can properly remove the asbestos and continue your roofing project. This is just another scope of our professional services.